It’s incredible how many people just let Banana Bread Day whiz right on by, without knowing what day it was. Life has just gotten too crazy! 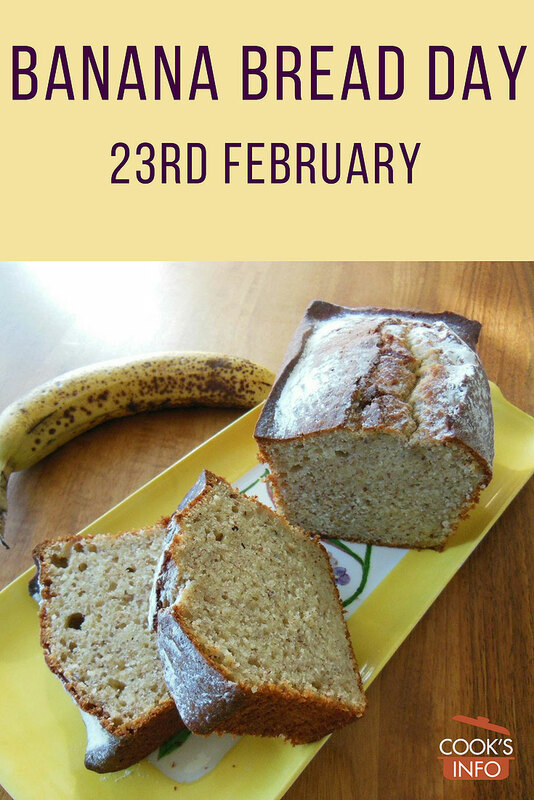 Banana Bread is dead easy to make, and very forgiving. It’s almost guaranteed to rise because a chemical leavener, either baking soda or baking powder, does all the work for you. Even stale Banana Bread is good, toasted and smeared with butter, or dipped in egg and milk and fried up as French Toast. If you’re really on the run today, you can always just try to pick up a slice in your travels — or even a banana muffin!